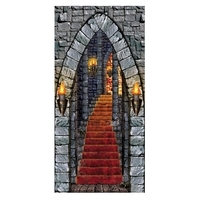 Create a mystical entrace into your own personal castle tower or dungeon with our Castle Entrance Door Cover! 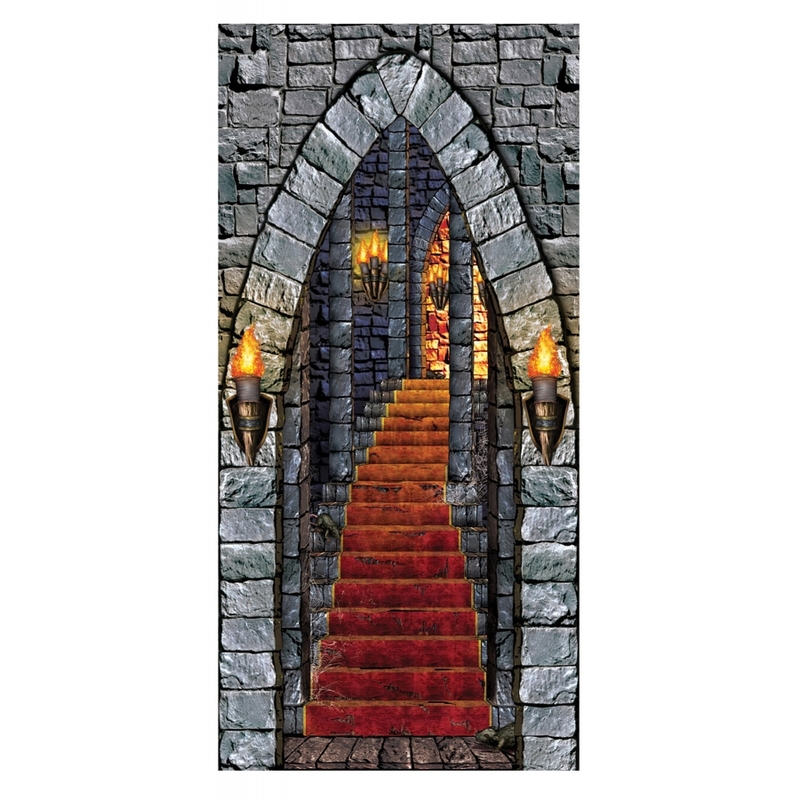 With realistic color printed stone, fire, and stairway, door cover is 30in. x 5ft! Polyethylene. Indoor/Outdoor. Just the decoration you need for Halloween, parties, plays, and other fun festivities! Attach to the door as you desire. Photo print only on one side. Includes door cover only.